Busy office environment? Go Grandstream! In today’s busy office environment, communication channels need to be updated, and flaws need to be overcome. Grandstream has been playing its role in the best manner in this regard. Since a long time, Grandstream has been offering the best in class IP phones and has won an award too for being the best designer. Grandstream continues its trend of providing the customers with next generation IP phones by launching its model GXP 2130 into the market. The model is ready to lead the market with its exciting features and updated firmware and applications. There is a fast pace that needs to be handled and communication channels need to be resolved. The product has some similar features as the earlier Grandstream phones yet some model updates have rendered this handset best suitable for handling the busy office environments. 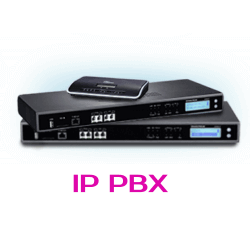 GXP 2130 is a 3- line VOIP enterprise phone. It is incorporated with dual switched Gigabit network ports and a built-in Power over Ethernet (POE) source so that it could be deployed easily in the enterprise environment. The phone promises you a next generation HD audio quality that remains unparalleled to any other phone system. 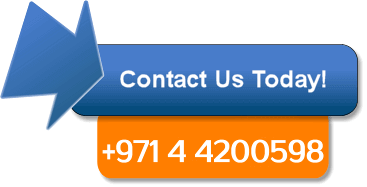 Grandstream has some resellers in Dubai from whom you can get your required GXP 2130 phone. Businesspeople in Dubai consider Grandstream as their 1st choice because of the high-quality features, easy to use interface and flexibility of handset. This is the reason why you can easily get Grandstream GXP 2130 Dubai phone from any nearby store of authorized Grandstream reseller in Dubai and many other parts of U.A.E like Umm Al Quwain, Abu Dhabi, Ajman, Sharjah, Al Ain and Ras Al Khaimah. LCD graphic display– It comes with a TFT color LCD of 2.8 inches having a resolution of 320 x 240 pixels. 3 Lines- There are three lines in GXP 2130 with the capacity to handle 3 SIP accounts at a time. There are 3 line keys where each key is dual colored. Gigabit network ports- Grandstream GXP2130 incorporates auto-sensing dual switched network ports of a gigabit capacity. Keys- The handset has eight-speed dialling or BLF keys where each key has dual colors. Bluetooth feature- Grandstream GXP2130 comes with an integrated Bluetooth feature that allows it to sync mobile devices and headsets for calendars, call transferring and contact books without the need of any connection cable or wire. HD audio quality- Grandstream GXP 2130 offers its customers a next level audio communication channel offering you a complete clarity in your voice on both handset as well as a speaker phone with no echo effect at all. You also get full- duplex speakerphone. Power over Ethernet source- You get an integrated Power over Ethernet (POE) feature with Grandstream GXP 2130 that can be used for powering your device and give it a proper network connection. Easy to deploy- GXP 2130 also includes automated provisioning feature to deploy it easily and conveniently where the automated provisioning options include XML configuration files and TR- 069. Security protection- Grandstream GXP 2130 includes a security encryption technology by using the SRTP and TLS protocols to protect the accounts and calls. 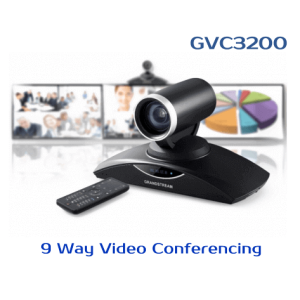 Conference calling- Through Grandstream GXP 2130, you can have an easy four-way audio conferencing feature. Grandstream GXP 2130 supports an RJ9 headset jack that also allows the EHS support with Plantronics headsets. It supports different audio codecs like G.711 u / a- law, G.729 A/B, G.722, G.726, out-of-band and in-band DTMF. 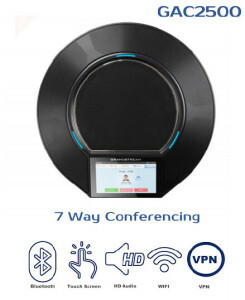 Grandstream GXP 2130 comes with a lot of other telephonic features that include call holding, transferring, forwarding, call pickup, call park, SCA feature (Shared Call Appearance), BLA feature (Bridged line appearance), a downloadable phonebook that can store up to 2000 contacts, call log can store the call history of almost 500 calls, auto answer, personalized features, and a lot many other features that offer you a very friendly user interface and a convenient and superb audio communication channel. The users need to update the firmware regularly to benefit from the updated features and applications. Now, there are several ways by which you can update the firmware. You can update it directly from the Grandstream server. The users can simply visit the website and directly upgrade their GXP 2130 to the official and updated firmware version via HTTP. You have to point your handset to firmware.grandstream.com simply and then select the upgrade option via HTTP and then reboot the phone. You can also upgrade the firmware through HTTP / HTTPS / TFTP. You only need to place the firmware file downloaded from the website of Grandstream in a server of HTTPS / HTTP / TFTP. Then pointing your GXP 2130 handset towards the corresponding address of the server will simply upgrade the firmware. 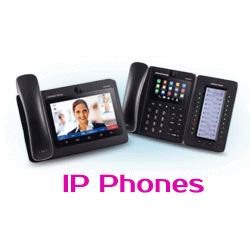 There is no doubt on quality and user friendliness of Grandstream GXP2130 IP Phone. Mostly, users have provided positive feedback for GXP2130 that give you a good idea about the quality and reliability of the product.There are a lot of GXP2130 EXT users in different areas of U.A.E. The positive feedback will surely help in making a decision buying this phone. Overall as far as the features are concerned, the phone seems to be a pretty good package!.Grandstream Dubai is always committed to provide you high quality IP Telephones.